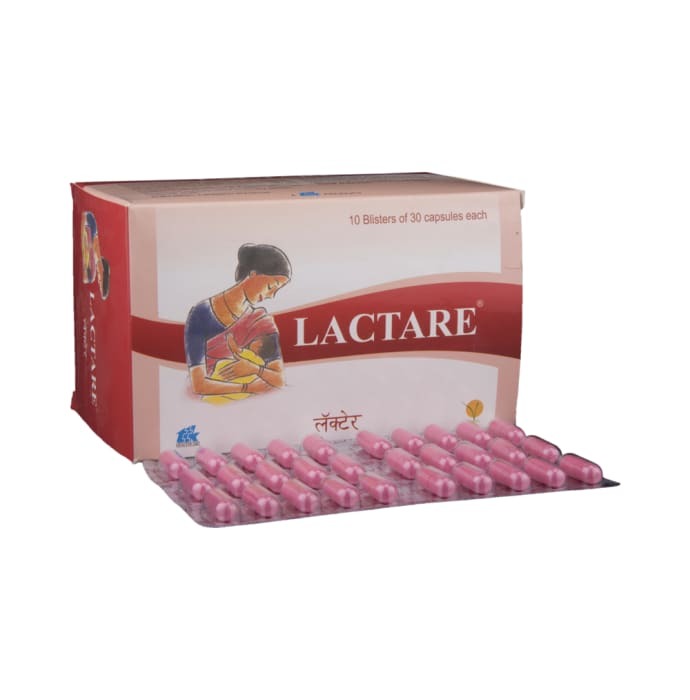 Lactare assures adequate lactation , it contains Asparagus racemosus, Withania somnifera, Trigonella foenum graeceum, Glycyrrhiza glabra and Allium sativum. Asparagus racemosus is the galactologue, which enhances the lactation post-partum. It increases the prolactin hormone level in the lactating mothers, which is responsible for the milk production. Asparagus racemosus, has been described in many ancient Ayurvedic textbooks regarding its galactologue action. This has estrogenic effect on the female’s mammary gland and genital organs. The extract of Asparagus racemosus also increases both the weight of mammary lobulo-alveolar tissue and the milk yield. A licensed pharmacy from your nearest location will deliver Lactare Capsule. Once the pharmacy accepts your order, the details of the pharmacy will be shared with you. Acceptance of your order is based on the validity of your prescription and the availability of this medicine.